Genome-wide association studies, which try to find correlations between particular genetic variations and disease diagnoses, are a staple of modern medical research.But because they depend on databases that contain people’s medical histories, they carry privacy risks. An attacker armed with genetic information about someone — from, say, a skin sample — could query a database for that person’s medical data. 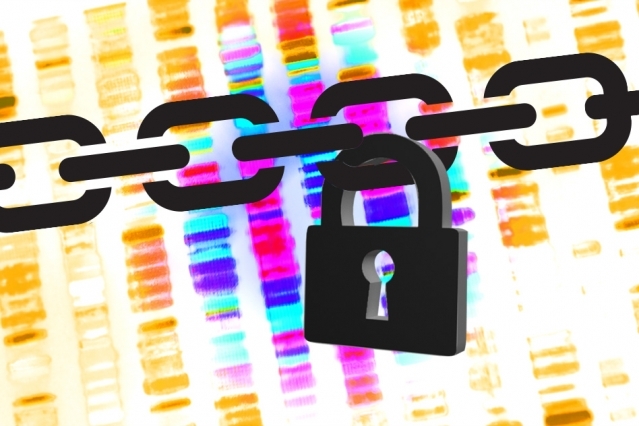 Even without the skin sample, an attacker who was permitted to make repeated queries, each informed by the results of the last, could, in principle, extract private data from the database.In the latest issue of the journal Cell Systems, researchers from MIT’s Computer Science and Artificial Intelligence Laboratory and Indiana University at Bloomington describe a new system that permits database queries for genome-wide association studies but reduces the chances of privacy compromises to almost zero.It does that by adding a little bit of misinformation to the query results it returns. That means that researchers using the system could begin looking for drug targets with slightly inaccurate data. But in most cases, the answers returned by the system will be close enough to be useful.And an instantly searchable online database of genetic data, even one that returned slightly inaccurate information, could make biomedical research much more efficient.